The concept of risk versus reward is built into the very fabric of our investing system. You should earn a higher rate of return if you are willing to take on more risk. For example, despite our growing national debt, there is no chance of the federal government defaulting on debt. So, the risk free rate of return that everyone can expect is the return on a United States T-Bill. From their, the amount of risks you take with your investing only go up. Asset Allocation Limits Risk. Pure and simple, a diversified investment portfolio mixed with a smattering of stocks (mutual funds are included here) and bonds will limit your risk. Investing in 100% stocks is very risky. While you may earn a much higher rate of return since the stock market has returned an average of almost 10% annual since its inception, you will be at the mercy of the stock market and its rollercoaster ride to get there. Some years will be up and other years it will be way down. Likewise, investing 100% of your money in bonds will help you barely keep up with inflation. You have to strike a balance in order to sleep at night and earn a dissent rate of return on your investments. Correlation. When all other things are equal, the stock and bond markets are inversely correlated. That means that when stocks are rallying, bonds are usually plugging along at their normal steady pace. 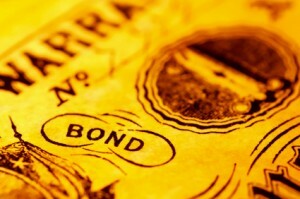 When stocks go down, bonds tend to rise and do better. They do not follow each other. When one is hot, the other is tepid and vice versa. While this sounds unappealing, it works in investors’ favor. Having both of them in your investment portfolio hedges your bets of having a horrible rate of return at anyone time. Having an asset allocation of both stocks and bonds will help you smooth out your portfolio’s volatility. The Perfect Allocation. Unfortunately there is no perfect balance between risk and reward, bonds and stock. Despite what the pundits say, there is no magic formula or rule of thumb that will get your allocations perfect. A lot of people say that you should use the rule of thumb, invest 120 minus your age in stocks and the rest in bonds. But, you cannot blindly use rules of thumb to find your asset allocation. It is different for everyone based on the person’s age, internal risk tolerance, goals, and time horizon for which they need the money. Your age, tolerance for risk, time horizon, and other factors are used to calculate the desirable mix of stocks and bonds in your perfect asset allocation. While there is no perfect formula that every investor can follow, there is a perfect mix of stocks and bonds for each and every individual investor. There is a balance that will let us sleep at night, and it is that balance that we must all find in our investing lives.